Greg Smith is an international award-winning author who has spent more than two decades specialising in Employment, Industrial Relations and Workplace Health & Safety (WHS) law. Greg provides WHS, Employment and Industrial Relations advice to a range of industries and organisations, including mining, oil and gas, rail, manufacturing, health and local governments. He works with managers to properly understand their obligations and how to meet them. Through his highly-regarded training program, Greg gives managers the confidence to proactively manage their risks and prevent incidents occurring. Where an incident has already occurred, he gives managers practical guidance on how to best manage the situation. 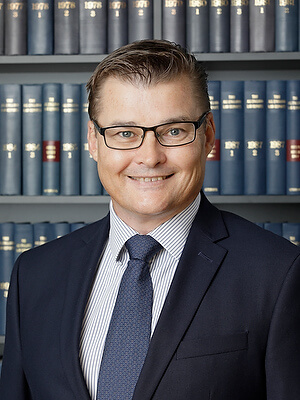 Greg has worked as a partner and legal practitioner in some of Australia’s leading law firms. In addition to his legal experience, Greg has worked as the Principal Safety Advisor for Woodside Energy Limited. In that role, he reported to the Vice President Safety and Health, and was responsible for the ongoing development and implementation of Woodside’s global safety management strategy. Key strategic responsibilities included contractor safety management, incident investigation, the introduction of an organisational behavioural framework to drive cultural change, training and competencies, and developing corporate level standards and procedures. Greg also sits on several OSH committees, often as a representative of the board to provide high-level oversight of safety management.